The roll-out of the dry recyclables bins (green/blue) and the bio-waste bins (brown) by the waste industry. 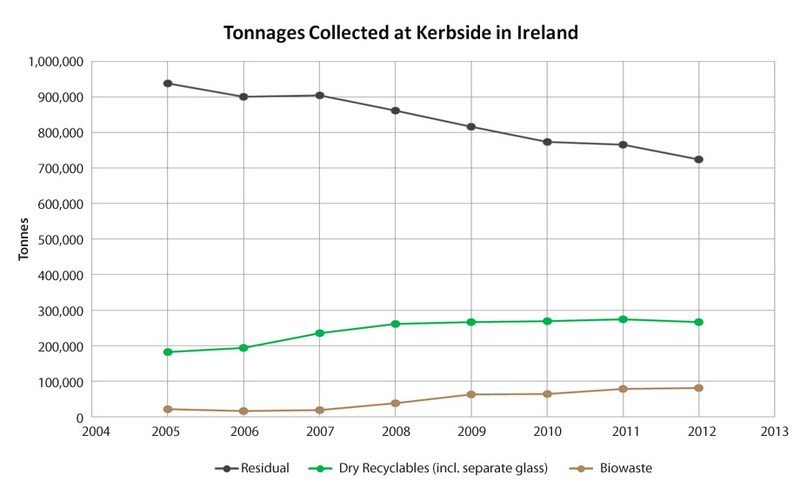 The IWMA expects this trend to continue as householders further reduce waste in response to waste prevention initiatives by the Irish State Agencies, in particular the Environmental Protection Agency (EPA), the Department of Environment, Community and Local Government (DECLG) and the local authorities. The roll-out of the brown bin has accelerated in 2014 in response to the 2013 Household Food Waste Regulations and this will divert further waste from the black bins to the brown bins, in line with National Policy and EU Directives. The public , the waste industry and the State Agencies have all played their part in this success story.